I love Josephine Tey's books & it's been ages since I reread one (apart from The Daughter of Time which I reread at least once a year although that has more to do with my Richard III obsession). Her books are all so different. As well as the Inspector Grant novels she also wrote several books, Brat Farrer, The Franchise Affair & Miss Pym Disposes, that aren't strictly detective novels but all have a mystery or crime at their heart. I bought these lovely US paperback editions a few years ago intending to reread them all but it wasn't until Saturday afternoon that I sat down to begin reading Miss Pym Disposes & didn't move until I'd finished it. Miss Lucy Pym intended to teach French to schoolgirls all her life but a timely legacy & an interest in psychology led her to write a bestseller & become a minor celebrity. She is invited to give a lecture on psychology at the Leys, a physical training college run by her old schoolfriend, Henrietta Hodge, & finds herself drawn into a self-contained world with all the passions & emotions of the outside world. The senior class is about to take its final exams & give a Demonstration of their gymnastic skills when Lucy Pym arrives. 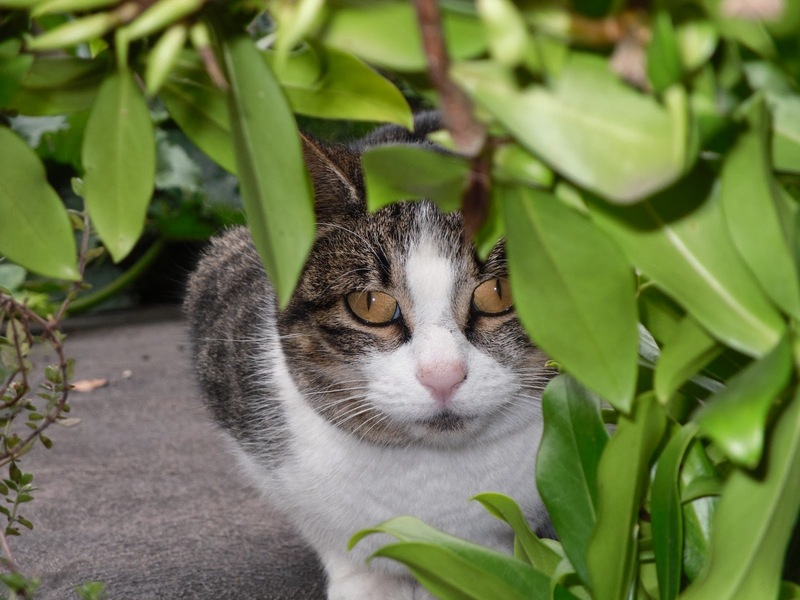 Intending to stay only one night (she's appalled by the unimaginative food & the horror of a wake-up bell that rings at 5am), Lucy becomes involved in the student's lives & stays on & on. Pamela "Beau" Nash is Head Girl & devoted to her best friend, clever but aloof Mary Innes. The four Disciples (Mathews, Waymark, Lucas & Littlejohn, who finish each others sentences) Irish O'Donnell, the two Scottish girls, Campbell & Stewart, who keep up a centuries old feud & Rouse, who no one much likes. Rouse always manages to say the obvious thing & enjoys the mistakes of others while toadying to Miss Hodge. Then there's the Nut Tart, an exotic Brazilian student, Teresa Desterro, who looks on with amused detachment at her fellow students & the staff. 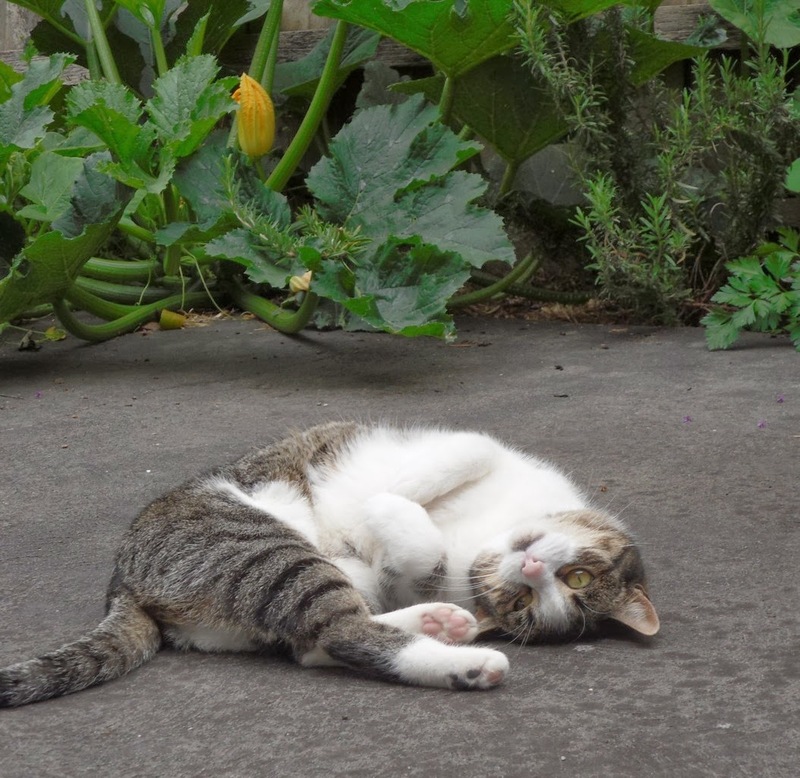 Lucy enjoys watching the students rehearsing their pieces for the gymnastic & dancing demonstrations, is invited to tea & enjoys walking in the grounds & visiting the nearby village. She is even invited to invigilate an exam & foils a student's planned cheating by destroying her crib notes. Miss Hodge has made the Leys college into a respected institution & she always has several teaching posts at other schools to offer the final year students. This year, there is great excitement as the best girls school in England, Arlinghurst, has asked if there is a Leys student who would be suitable for a post at the school. This is an unheard-of honour for a newly qualified PE teacher & everyone assumes that Mary Innes will be the chosen one. When Miss Hodge offers the post to another student, the scene is set for tragedy. I remembered the solution of the mystery, even though it must be 20 years since I read it. This time, though, I was able to spot the subtle clues that point to the culprit. Lucy realises that her own actions have helped to create the crisis & has a difficult choice to make once she thinks she knows the truth about the accident that may really have been premeditated murder. It was not often, moreover, that one saw a middle-aged husband and wife so pleased with each other, Lucy thought, as she watched them come in. They had a holiday air. They came in and looked about them expectantly, questioningly... His suit was very old, she noticed; well-pressed and kept, but with that much-cleaned air that overtakes a garment in its old age. The woman's suit, a tweed, was frankly shabby, and her stockings were darned - very neatly darned - at the heels.Her hands, too, looked as if they were accustomed to household tasks, and her fine grey hair was washed at home and unwaved. What had she got to look so happy about, this woman who struggled with straitened means? Was it just being on holiday with a husband she loved? Was it that that gave her grey luminous eyes their almost childlike happiness? This just conjured up so many middleclass Englishwomen I've read about in those between the wars novels beloved by Persephone & Virago readers & seen in the movies. Laura in Brief Encounter, Mrs Miniver, the Provincial Lady, Ellen Fenwick (from Lettice Cooper's Fenny), Catherine in Elizabeth Cambridge's Hostages to Fortune. Josephine Tey is so good at characterization. I felt I knew the Innes's even though we only meet them briefly in a couple of scenes. I also love a good mystery set in a closed society like a school or a convent. Gaudy Night by Dorothy L Sayers is my all-time favourite but there are many more. Cat Among the Pigeons by Agatha Christie, Death among the Dons by Janet Neel, Quiet as a Nun by Antonia Fraser, the list goes on. I also have another book on the tbr shelf which I'm tempted to read next. On Your Marks by Gladys Mitchell isn't a murder mystery even though the blurb mentions a couple of minor mysteries that Dame Gladys couldn't resist (who drained the swimming pool?). It's a school story, set in a physical training college like the Leys, one of the many career stories for girls written in the mid twentieth century. It was originally published in 1954 & recently reprinted by Greyladies. Both Mitchell & Tey worked in PE colleges so I'd be interested to see how their pictures differ. But, now that I've started rereading Tey, I'd like to read another of her books as well. Maybe The Singing Sands or the first Inspector Grant novel, The Man in the Queue? Decisions, decisions. 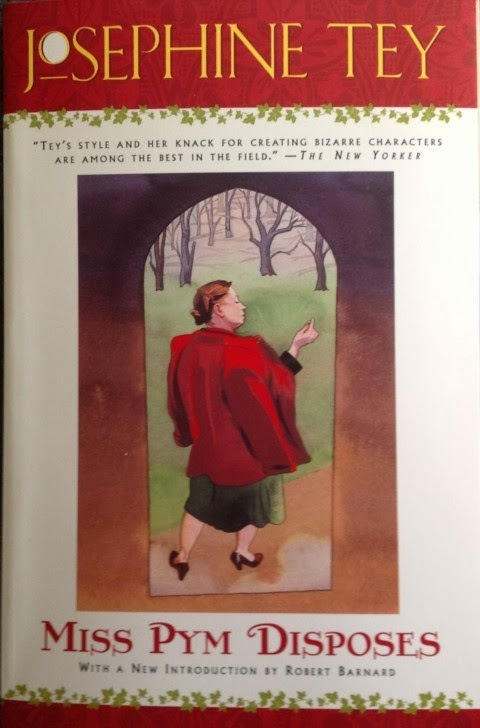 There's a copy of Miss Pym Disposes, and other books by Josephine Tey, available at Anglophile Books. On Australia Day, it's appropriate that I choose a poem by Henry Lawson. 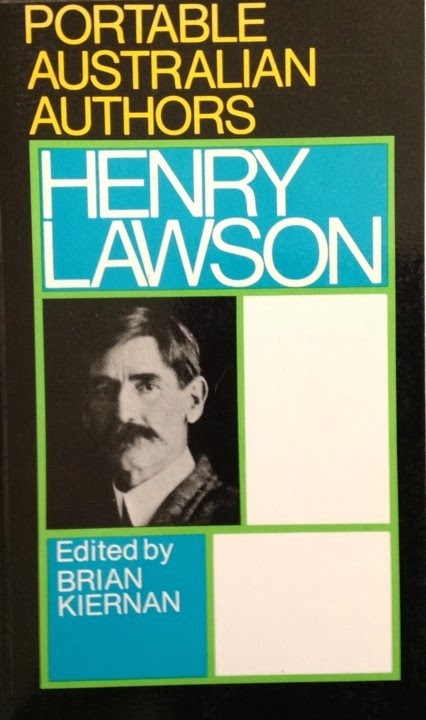 Along with Banjo Paterson, Lawson is probably Australia's best-known poet. I'm drawn to Lawson's melancholy & this poem, A Bush Girl, tells one of his most poignant stories. A girl with dreams & ambitions but not much prospect of being able to fulfill them. Lawson's life wasn't very happy, blighted by deafness & alcoholism. He died in poverty but maybe it's his sorrows & inadequacies that make him so good at describing ordinary people's lives. Rent by the wind, is leaking fast. She has her dreams; she has her dreams. God help the girl! She has her dreams. The minds of all she’s like to meet. And her release! She has her dreams. Of any good I may have done. I’ve had my dream. ’Twas but a dream. Jenny Ryan is a ghost writer. She has written the autobiographies of many famous people but when she has the opportunity to work with Sholto MacNab, adventurer & explorer, she's intrigued. Sholto has specified a male writer but Jenny's pen name is J J Ryan so he & his sons, Alec & Fergus, weren't expecting Jenny when she arrives for the interview. Jenny is fascinated by the castle, by its dilapidated state, by the family motto, "Let fear be far from all", & by the legends that surround the family. Sholto's motive for publishing his memoir is to make some money. The estate is in dire need of cash & Jenny convinces him that she's the right person to help him do that. She agrees to stay at the castle while they work & soon becomes involved with the family & their future. Jenny is drawn to Alec, a quiet man who runs an armoury business from the castle that brings in much-needed income. Fergus runs the estate but lack of money is hampering his ideas for the future. Then there's the curse that hangs over the heads of all the MacNab men. The faithless wife of an MacNab laird was murdered by her husband with the Cauldstane claymore, a massive sword that still hangs in the Great Hall. Her mother was a witch & she cursed the family by declaring that no MacNab wife would live long or bear children if they were not of the MacNab blood. She was condemned as a witch & drowned in the river near a rock called the Blood Stone because of its colouring. Legend says the curse was written on that stone. This curse has blighted the lives of the family ever since. Alec's wife, Coral, had died young, drowned in that same river. Whether it was an accident or suicide is unclear. Fergus had just proposed to his girlfriend but she refused him after she heard of the curse & became frightened. The family is divided over the future of the estate. Should they sell up or work towards some of the ideas that Fergus & Zelda are keen to try to give Cauldstane a future? Sholto's first wife, Liz, had died in a fall from her horse when Alec & Fergus were very young & his second choice, singer Meredith Fitzgerald, had been a mistake. She'd been Sholto's mistress, one of many, while he was married to Liz, & convinced him to marry her after Liz's death. Meredith was expecting wealth & luxury but Sholto's fame & his ownership of Cauldstane didn't translate to money & soon they were living separate lives. Another faithless wife of a MacNab, Meredith was killed in a car accident after a drunken argument with Alec on his wedding day. Sholto's sister, Zelda, returned to the castle after divorcing her husband & helped to run the house with help from Wilma Guthrie, who has worked for the family since the boys were small. As Jenny's affection for Sholto & attraction to Alec increases, she becomes determined to break the spell of misery, grief & fear surrounding the MacNabs. However she has not only the legend to conquer but a more tangible threat to overcome. She hears harpsichord music. Messages begin appearing among her notes on her laptop, evil messages filled with jealousy & hatred. Alec knows who the writer is & he's determined that Jenny should leave the castle for her own safety. Jenny realises that she now has to fight not only the legends of the past & Alec's fears but face her own insecurities & the secrets of her past. As Alec withdraws & becomes more distant, Jenny's determination to save the castle & the family increases. Her investigations reveal secrets that will shock the MacNabs but may also set them free. 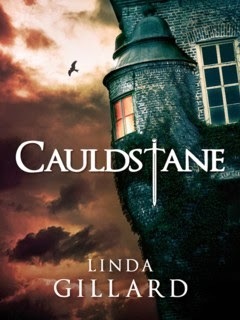 Cauldstane is a terrific story, a Gothic mystery set in a haunted & cursed Scottish castle. 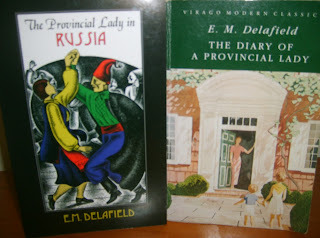 As I read, I was reminded of many of my favourite books, from the romances of Victoria Holt to Daphne Du Maurier's Rebecca with echoes of Shakespeare & Elizabeth Gaskell as well. All the characters are beautifully drawn, from Alec, whose life has been burdened by guilt to Sholto, the aging adventurer who is troubled by the consequences of the reckless behaviour of his past & worried about the future of his sons & the estate. Jenny has secrets of her own which are only gradually revealed but she's an undaunted heroine whose love for Alec will give her the strength to fight the evil force threatening the family & her own happiness. I hope I haven't made the story sound too gloomy as there's a lot of humour as well. Sholto's glee in describing his near-death experiences in the Arctic gives us a glimpse of the dashing adventurer he'd once been until ill-health & regrets about his behaviour to Liz consumed him. As always, Linda Gillard describes the natural world beautifully. The castle is a character in its own right, as evocative as Manderley & a perfect setting for this Gothic tale of love & the struggle between good & evil. I was lucky enough to be sent a pre-publication copy of Cauldstane by the author. Cauldstane is available as a Kindle ebook from Amazon & will be published in paperback soon. Dorothea Crewdson & her best friend, Christie, were newly trained Red Cross nurses when they joined the Voluntary Aid Detachment in 1915 & volunteered for active service overseas. 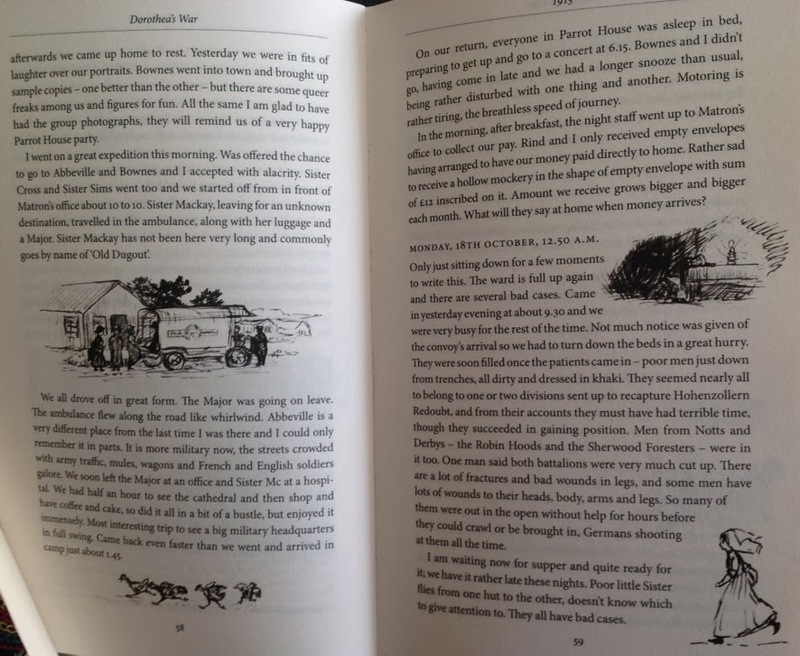 They were posted to northern France & so began four years of hard work, dedication but also fun & adventure, all of which Dorothea recorded in her diaries. 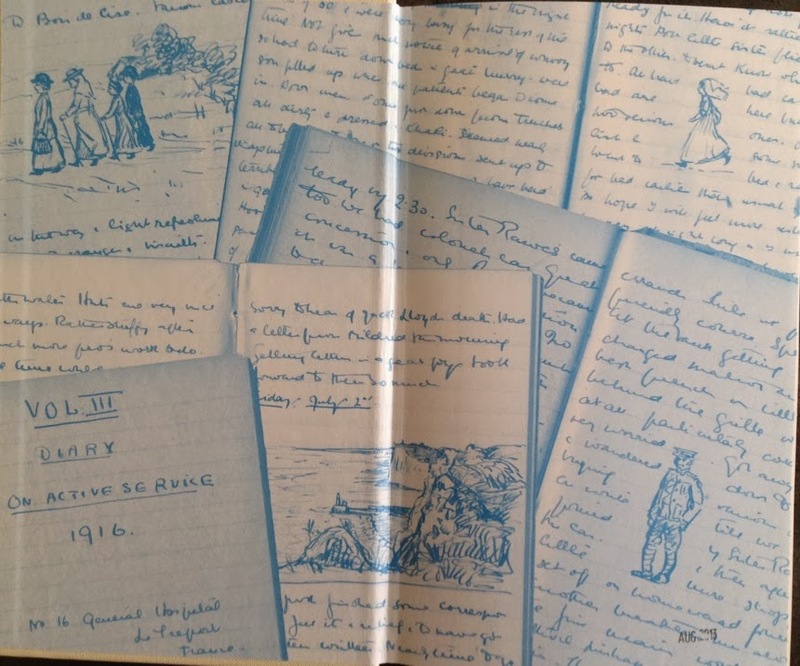 Many diaries have been published by participants of WWI. I always find them moving & I'm always in awe of the dedication of the medical staff who endured extremes of heat & cold, often with inadequate supplies & sometimes practically at the front line & under shellfire. Their only consideration was their duty & the welfare of their patients. 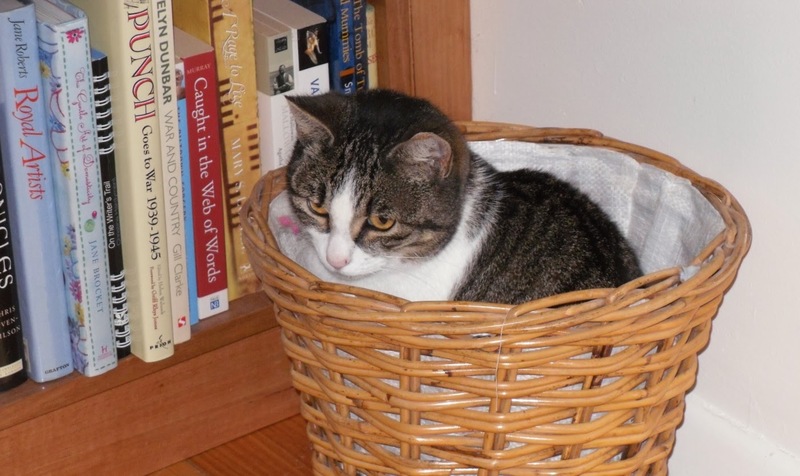 Dorothea is no exception to this. She was about 30 when the war began & she had grown up in a lively, affectionate family. Her younger brother, Alistair, (she called him Little A even though he was over six feet tall!) was in the Army & they are able to meet several times in France. Dorothea is often desperately homesick for her mother & sisters & agonizes about whether or not to sign on for another six months service. Her duty always wins out though & she served for nearly four years until after the end of the war. The most important aspect of any diary is the writer's voice. Do we feel that we get to know the writer? Would we like to have tea & a chat with them? Dorothea's voice is warm, generous, compassionate & often amused. She was always interested & up for any expedition that was proposed. She was hard working & always ready to get along with her colleagues & superiors. From night duty to running the Mess, Dorothea found interest in any task & satisfaction in a job well done. Her diaries are very detailed & filled with beautiful sketches (some of them are reproduced on the cover). These are the endpapers & you can see the actual diaries with the drawings. I just want to quote a couple of passages to give the flavour of Dorothea's voice. When reviewing a diary or journal, I think that can be more interesting than describing where she served & how bad the conditions were. 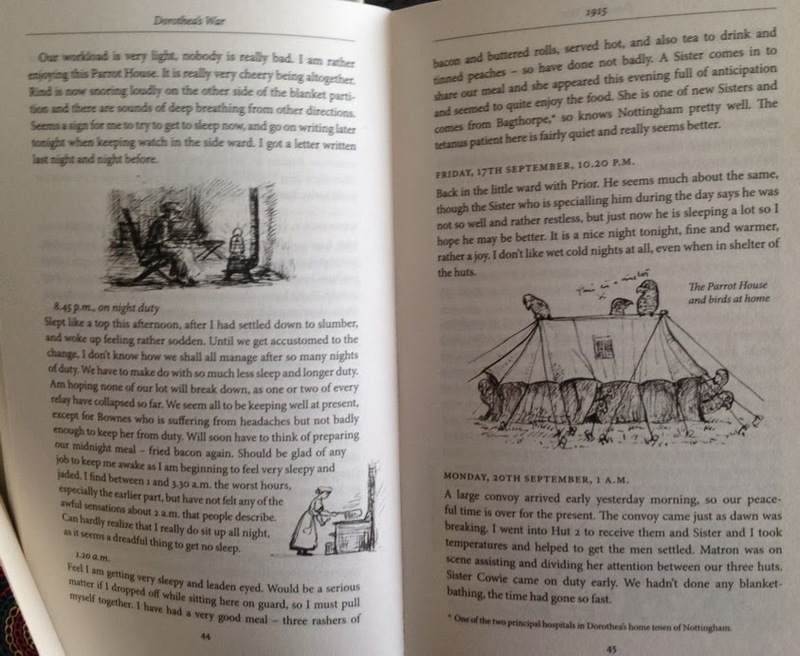 I've read a lot of WWI & WWII memoirs & diaries & I want something more than a recital of battles & places. Dorothea really made me feel that I was there with her, or at least, looking on from a warm, safe distance. The Parrot House mentioned in this entry was the name given to the tent where the nurses on night duty slept. There's an illustration of it above. Dorothea's story had a sad ending. After serving until the end of the war, she stayed on nursing in France & was taken on a tour of the battlefields with other medical staff. She was looking forward to ending her service & returning home when she was suddenly taken ill & died of peritonitis after surgery in March 1919. The letter written by Matron McCord to Dorothea's mother is very moving. 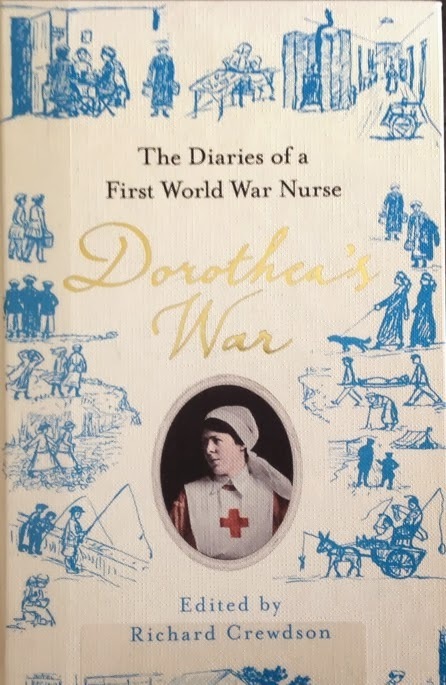 Shocked at the suddenness of Dorothea's illness & death, Matron writes eloquently of Dorothea's service & her valued contribution to the work of her colleagues all through the war. The diaries have been edited by Dorothea's nephew, Richard, Little A's son. He knew nothing about them until after his father died when he came across them along with instructions that they should be donated to the Imperial War Museum. Richard Crewdson has written an informative & affectionate Introduction about the aunt he never knew & the privilege he feels it has been to get to know her now through her own words after so many years. I'm glad that he has published Dorothea's diaries so we can all get to know this remarkable woman. I was searching for a poem about cold, bitter weather as a contrast to the very hot week we've had but I couldn't find one in my current anthology, Translated Kingdoms. 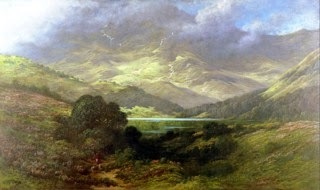 So, I chose a melancholy Highland lament, Lochaber No More, by Allan Ramsay. I've been reading a new novel set in a haunted Scottish castle so it's appropriate in that context if not particularly wintery in subject. Here it is set to music & sung by folk band Breabach.The clip includes some gorgeous Scots scenery as well. We’ll maybe return to Lochaber no more! That’s naething like leaving my love on the shore. And I must deserve it before I can crave. Since honor commands me, how can I refuse? And without thy favor I’d better not be. And then I’ll leave thee and Lochaber no more. About a month ago, Michael Walmer sent me a couple of books to review. Simon has recently reviewed I Pose by Stella Benson, which he loved (& I'm looking forward to) & I've been reading The Twelfth Hour by Ada Leverson. Leverson was a close friend of Oscar Wilde, he called her The Sphinx, & she was one of the few friends who stood by him after his time in prison. She's probably best known for the trilogy which was reprinted by Virago as The Little Ottleys but this book, The Twelfth Hour, is her first. The Twelfth Hour is a sparkling, witty book about love & marriage. Published in 1907, it shines a light on society & the lives of the leisured classes. The Croftons are a well-to-do family with beauty, intelligence & style. Felicity has recently married Lord Chetwode but the marriage has not turned out as she expected. Chetwode's two passions are racing & antiques & he spends most of his time traveling the country in pursuit of them. Marriage doesn't seem to have changed his routines at all. Sylvia is in love with her father's secretary, Frank Woodville, who is well-connected but penniless due to the late marriage of his uncle & subsequent birth of a son. All his expectations have been dashed & without money, Sylvia’s father is unlikely to agree to their marriage. Mr Crofton also has plans for Sylvia to marry Mr Ridiokanaki, a Greek millionaire who is in love with Sylvia. Younger brother Savile is on holidays from Eton & in love from afar with opera singer, Adelina Patti. He is adored in turn by young Dolly Clive. When Savile isn’t wangling money from his relations to see Patti on stage, he’s trying to sort out his sisters’ problems. 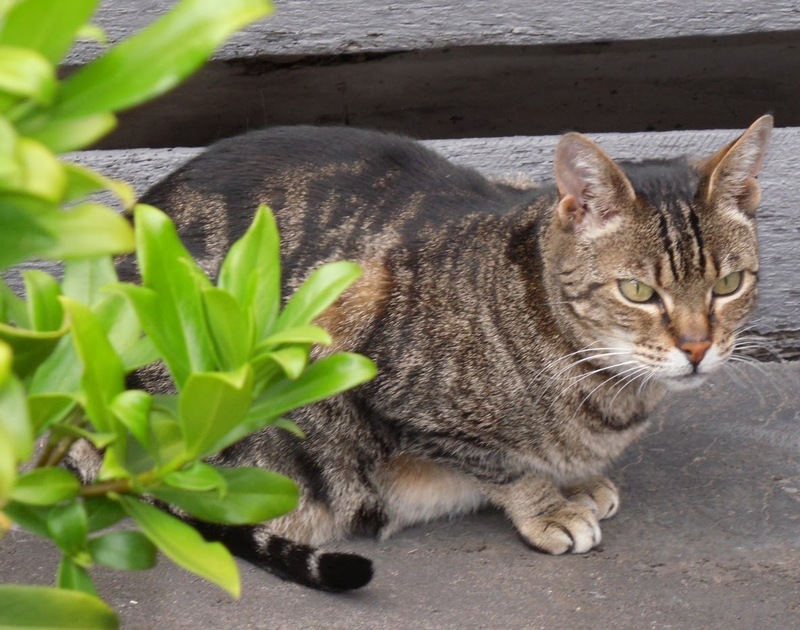 Felicity is unhappy & bored &, as she is also very beautiful, she soon has suitors appearing around every corner. Most persistent is Bertie Wilton, handsome, popular & determined to rescue Felicity from her neglectful husband. Mr Ridiokanaki discovers that Sylvia & Frank are in love & offers them a solution to their financial troubles that will mean a long separation but eventual security. Sylvia is horrified but Frank is tempted. Will love or pragmatism win out? I enjoyed The Twelfth Hour very much. Leverson has obviously learnt the art of the witty bon mot from Oscar Wilde as the book is very funny & full of funny comments & observations. Sylvia is a very modern young woman. She has no qualms about deceiving her father & ignores all his commands regarding Mr Ridiokanaki's attentions. When he persists in sending larger & larger arrangements of flowers, she puts them in the housekeeper's room. Felicity's social round of lunches, evening parties & shopping becomes increasingly hollow as she desperately tries to talk to her husband but is discouraged by his elusiveness. Bertie's persistent attentions begin to look more attractive as she feels more & more unloved. My favourite character was Uncle William (the Croftons decided to call their Aunt by her husband's name & their Uncle by her name so he was Uncle Mary). Aunt William's house is furnished as it was in the 1880s with wax flowers under glass & circular tables in the middle of the room. "Often she held forth to wondering young people, for whom the 1880 fashions were but an echo of ancient history, on the sad sinfulness of sunflowers and the fearful folly of Japanese fans." The sunflowers are a reference to Gilbert & Sullivan's Patience, which mocked the aesthetics movement of the 1890s & its followers. Aunt William spoils Savile & gives him money & enormous lunches while also keeping a watchful eye on her nieces’ social engagements. She may be a shrewd old lady but Savile can wind her around his little finger. The Twelfth Hour is an Edwardian confection, a lovely way to spend an afternoon. It’s good to see a publisher reprinting books from this period as it’s been relatively neglected by the other publishers reprinting 20th century fiction. I’ll look forward to any future titles from Michael Walmer. Stevenson again this week. I've just been listening to Laura Wright singing Over the Sea to Skye so when I came across this parody? adaptation? of the song, I couldn't resist it. It's from this anthology selected by Jenni Calder, Translated Kingdoms. Penelope Lively is one of my favourite writers. The first audio book I ever listened to was her According to Mark, read beautifully by Michael Williams. According to Mark has remained my favourite of her books as it combines her twin preoccupations of time & memory. Mark is a literary biographer working on the life of an early twentieth century writer. This was the era of the great biographies - Holroyd's lives of Lytton Strachey & G B Shaw, Ellmann's life of Oscar Wilde - & Mark's subject, Gilbert Strong, is one of those grand old men of Edwardian letters. It's the story of his research & the surprises he discovers. It's also the story of Mark himself, of his marriage & of his attraction to Strong's granddaughter, Carrie. It's a wonderful novel, funny but full of interesting things to say about the nature of biography & reputation. This new book, Ammonites and Leaping Fish, is not fiction but a memoir about old age & memory. Lively looks back on her life from old age. She remembers her wartime childhood in Egypt (written about in more detail in Oleander, Jacaranda), the disorientation of returning to England after the war, her years at university, meeting her husband, Jack, her writing & the traveling that she once relished (including a farcical visit to the Soviet Union in the 1980s). 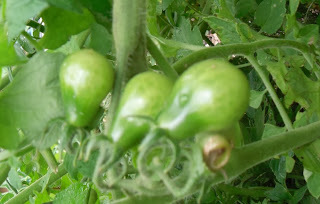 She misses gardening now that arthritis prevents her from doing much more than tend a few pots & she observes that conversations with friends of a similar age (Lively is now 80) now consist of stories about visits to the doctor & heartfelt inquiries about each other's health or lack of it. However, my favourite parts of the book are the chapters on reading & books & the final chapter about six objects that bring back memories of different periods of her life. 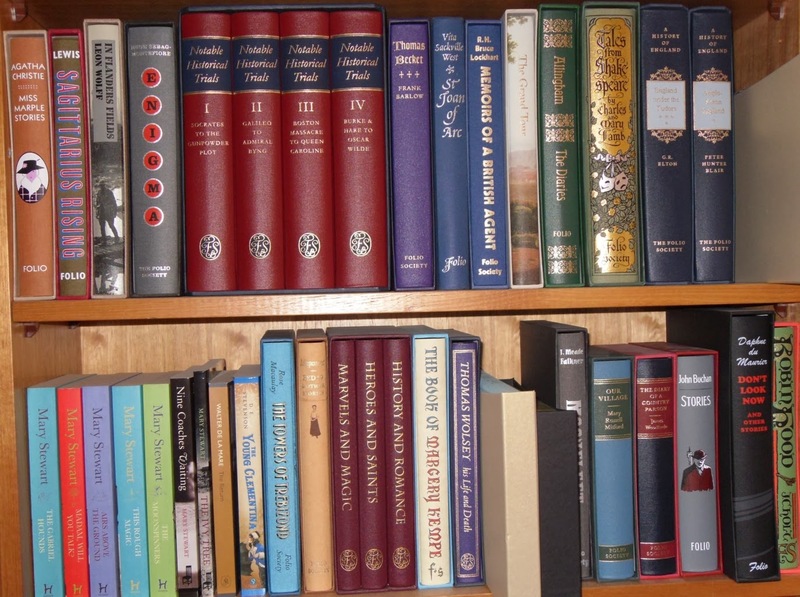 Many of the books mentioned inspired her love of history & archaeology, major themes of the novels & stories. For me, interest in the past segued into an interest in the operation of memory, which turned into subject matter for fiction. I wanted to write novels that would explore the ways in which memory works and what it can do for people, to see if it is the crutch on which we lean or the albatross around the neck. It is both, of course, depending on the person concerned. In the final chapter of the book, Lively talks about six items that recall her life. The kind of objects that mean very little to anyone except their owner. A pair of kettle-holders from Maine with ducks on them; a Bible given to Lively by her nanny when they were evacuated to Palestine during the war; a sherd of 12th century pottery with two leaping fish on it; a fossil with two tiny ammonites in it, millions of years old; a copy of a statue of an Egyptian cat, the original of which is in the British Museum; and a sampler stitched by Elizabeth Barker in 1788. All these objects lead to memories of bird watching, her childhood, visits to America, digging in her own gardens & finding sherds of pottery from previous households. the beauty of the King James Bible over any other version & her never-ending interest in time. I wish the whole book had consisted of memories like these. In an earlier memoir, A House Unlocked, about her Somerset grandmother's house, Lively used a similar technique, taking objects & telling the history of the house & of her family. I found this final chapter & the chapter on reading much more engaging that the view from old age, I'm afraid. 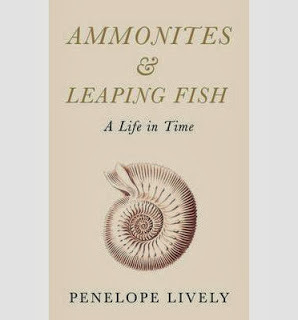 Still, Lively is always an interesting writer & I would recommend Ammonites and Leaping Fish to anyone who has enjoyed her fiction. It's sent me back to dip into her novels & maybe I'll read According to Mark again & enjoy Lively's meditations on time & the past once more. Katrina asked to see some photos of my garden & Saturday was a perfect day to take some as the weather was quite dull so no glare. The garden is mostly in shades of green & lemon at the moment. even my lemons are green! 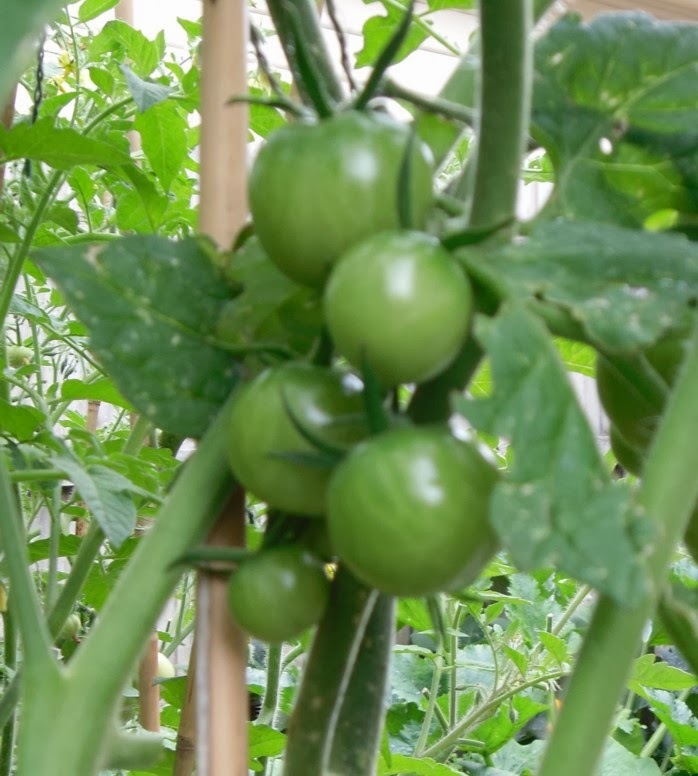 I'm very excited about my tomatoes this year. 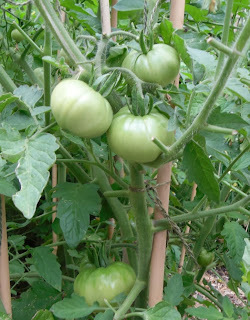 A friend gave me some seedlings she'd grown of heirloom varieties & they've done very well. All the plants are about 5 foot high & I have fruit on all of them. 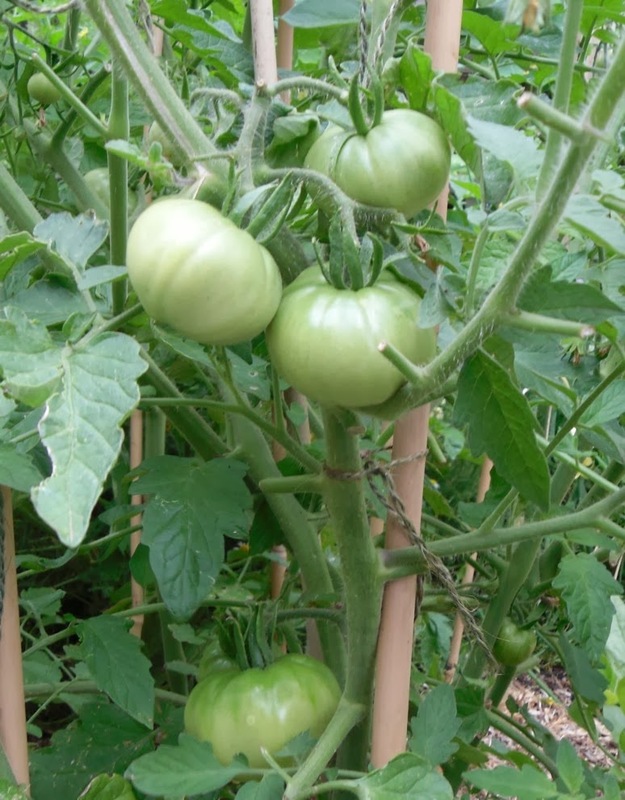 This is Rouge de Marmande above. I've been eating zucchinis for a while now. Over the weekend I made tuna & zucchini risotto & a zucchini cake to take in to work. I only have one plant but that's quite enough. Then, there's the butternut pumpkin. 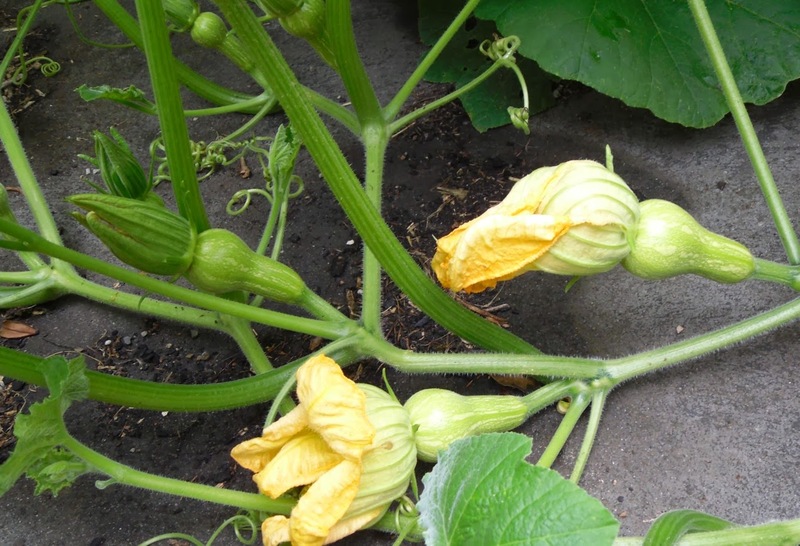 I'm already looking for pumpkin recipes as there are lots of tiny pumpkins on the vine. 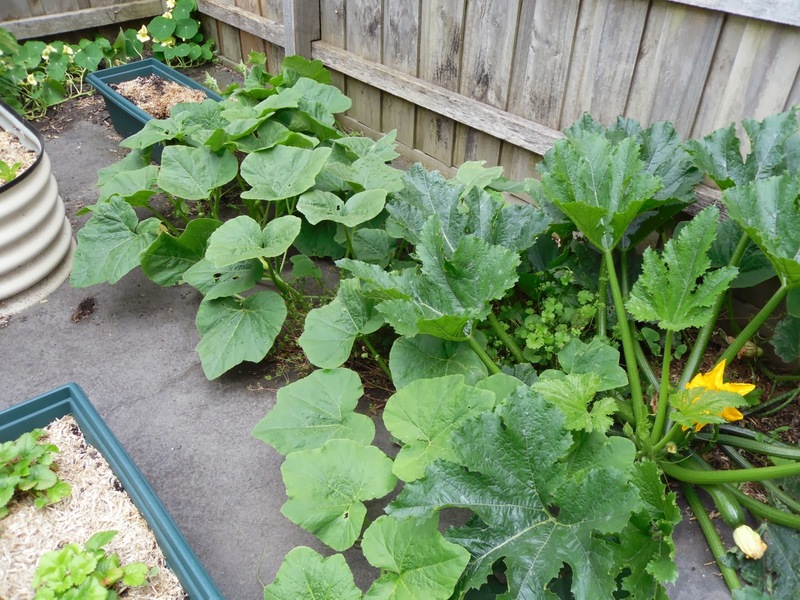 I'm also a bit worried as it seems to be taking over the whole back yard... How big are they supposed to grow? Just as well I like pumpkin! who, as usual, looks as though she's about to take off. 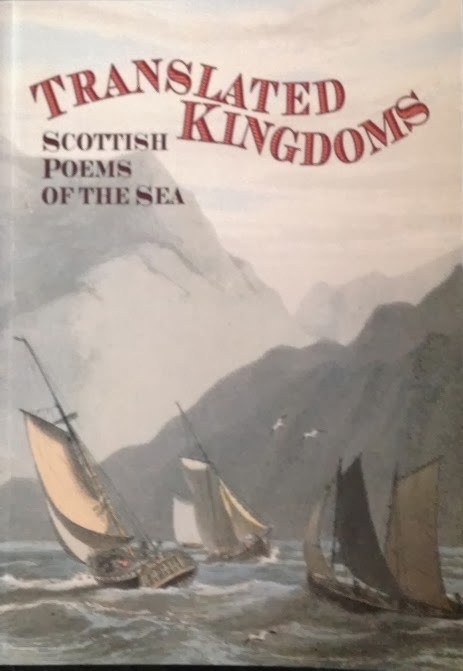 I'm starting the New Year with a volume of Scottish poems about the sea. It's called Translated Kingdoms & was selected by Jenni Calder. I have a few anthologies on my shelves that I want to read this year & the Sunday Poetry post is a great way to get me started. The picture above (by Gustave Doré from here) isn't of the sea but of the Highlands but it's so beautiful that I had to use it. I also can't get to my camera at the moment to take a picture of the book because Phoebe is asleep on my lap. Robert Louis Stevenson's A Child's Garden of Verses was one of my favourite books when I was young. I had a lovely edition with illustrations & I read it often. The poems are often about imagination & play & this one is no exception. I love classical music but I haven't read much about the lives of my favourite composers. So, the opportunity to read this short biography of Mozart was too good to miss. Mozart's life was short but full of incident. Many myths have grown up around his life & Paul Johnson refreshingly dismisses most of them. Born in Salzburg in 1756, young Amadeus was a prodigy, composing from a young age & proficient in several instruments, including piano & viola. His father, Leopold, was a musician & encouraged Amadeus & his sister, Nannerl, in their music. The family traveled around Europe playing to royalty & nobility in Germany, France & England. Amadeus was lauded for his talent & he continued to write an enormous amount of music in every conceivable form - operas, symphonies, concertos & sonatas. Johnson goes into some detail about the work but I have to admit that I couldn't really follow him there. Apart from a few famous works like the Clarinet Concerto & the Piano Concertos, I don't know the work until I hear it, the catalogue (K) number doesn't help me. That's probably why I don't read much about composers. It would be wonderful if I could have tapped on my Kindle & heard the work as it was being described. Maybe an idea for the next generation of ereaders? 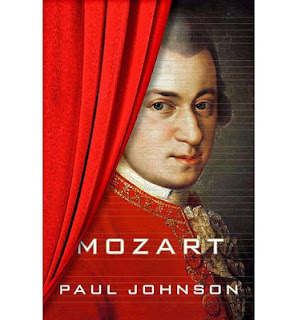 Johnson writes well about Mozart's love of musicians & singers & the trouble he took to direct & help them play his music. The fact that he could play many of their instruments & so demonstrate what he wanted must have helped. He also knew the limitations & capacities of instruments so he was loved & admired by his peers. Often he would compose a piece with a particular singer or musician in mind, "Nothing pleased him more than an intimate talk with a player about his instrument, what it could do or not do, and what it could be made to do by a masterful player." Johnson discusses the contentious points of Mozart's short life. It's said that he was always in debt. He was often short of ready cash but his problems are usually short-term. A lot of letters from Mozart to his friends survive where he's begging for another loan to tide him over & this seems to be the origin of this myth. After his death, his wife, Constanze, was able to clear his debts within a few weeks so there was always money coming in. He also wasn't buried in a pauper's grave. Burial in a mass grave was quite common in Vienna at the time & had nothing to do with the financial circumstances of the deceased. Constanze has come in for a lot of criticism over the years but Johnson believes that she's been unfairly treated. She's been called slovenly & a bad manager, dragging Mozart into debt & costing him money with her medicinal trips to spa towns. She certainly suffered from poor health at times & also suffered the loss of several children. The couple led a hectic life with Mozart traveling frequently & spending long hours composing. There's no evidence that the marriage was unhappy & their two surviving sons, Carl & Franz Xavier, grew up happy although neither had any of their father's musical talent. Maybe it's because she married again after Mozart's death & her new husband wrote a biography of Mozart. However, Constanze looked after Mozart's musical legacy with great care, ensuring that his music was played throughout Europe & his name was kept alive. Mozart died in 1791 at the age of only 35. It's astonishing to think that he was able to cram so much into such a short life. The beauty & range of his music is truly amazing & his popularity has never waned. Classic FM here in Australia puts together a Classic 100 every year, voted by listeners. One of the most popular lists ever was the Classic 100 Mozart. I can't think of another single composer who could be the subject of such a list. I read Mozart courtesy of NetGalley. Happy New Year everyone, another year begins. I hope it will be a year full of health, happiness & plenty of good books for us all. This photo isn't especially about New Year but Phoebe is sitting in the wastepaper basket (one of her favourite spots in the study although right now she's on my lap) in front of unread books which is a theme of this post. I counted up my list of books read for 2013 & I read 115 books last year which is good but not as good as 2009 when I read 172! I know I spend more time on the internet than I did a few years ago as I now have an iPad which makes it easy to look something up from the comfort of my chair without having to start up the PC & disturb a sleeping cat on my lap. However, it also makes it too easy to be led from one thing to another & suddenly discover that half an hour has gone. I want to read more books from my tbr shelves this year, which is a perennial resolution, I know. But, I'd like to make some sort of a dent in the shelves. I seem to collect books from my favourite publishers but then read very few of them. I don't want to be too structured as I'm not a big fan of reading challenges or being too prescriptive. I'd just like to read more of all these lovely books. 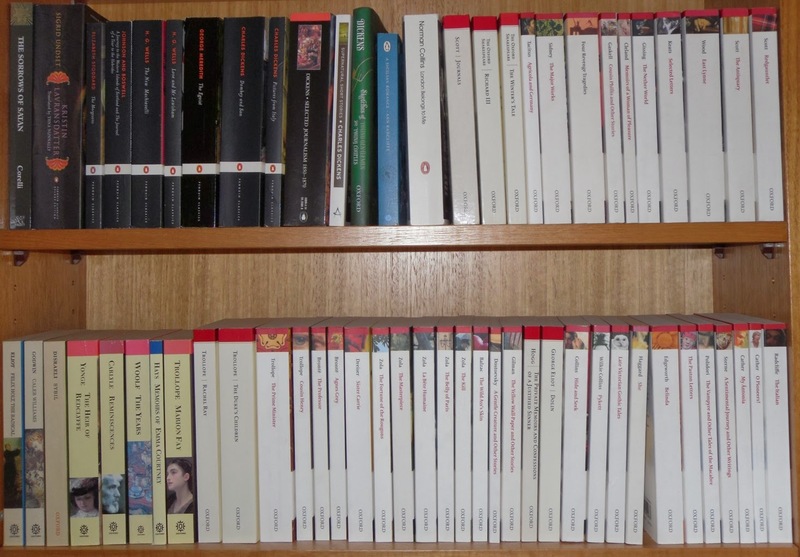 Wodehouse & Slightly Foxed editions. 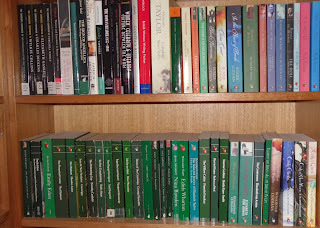 I bought all these Wodehouses from Clouston & Hall when they were remaindered & I'm slowly making my way through them. I subscribe to the excellent quarterly journal, Slightly Foxed, & also to their series of memoirs in these beautiful pocket-sized hardbacks. I've also subscribed to their new Slightly Foxed Cubs, the children's historical novels of Ronald Welch - even more to read! 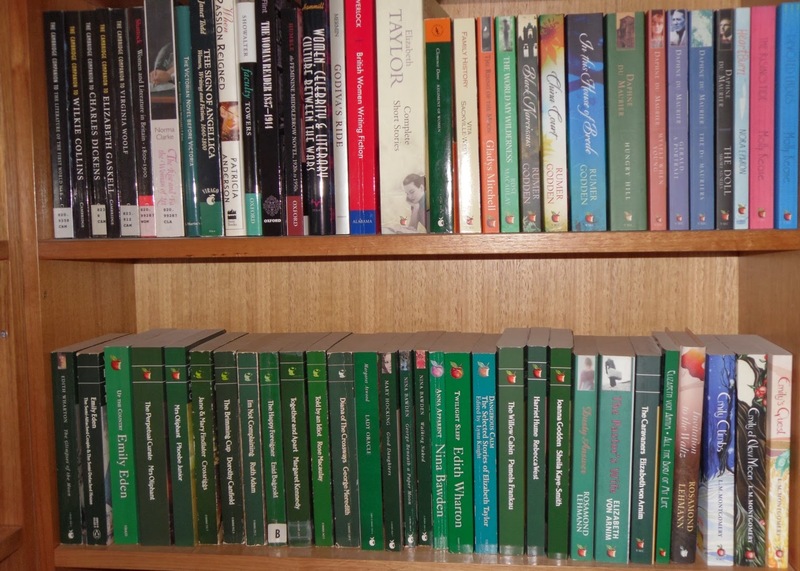 Hesperus Press & Greyladies, two more favourite publishers. There are also a few E F Bensons & a Hugh Walpole there. Nonsuch Press, Capuchin & Canongate. The Folio Society (along with some Mary Stewarts, a Walter De La Mare & a D E Stevenson). 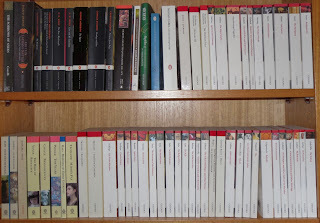 Virago (as well as some books on mostly women's literature. You can see by the spine labels that I rescued a few of these from my library when they were being withdrawn). 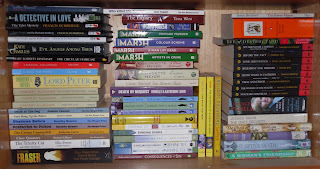 I also have other tbr shelves organised by subject like this overflowing shelf of mostly mysteries. 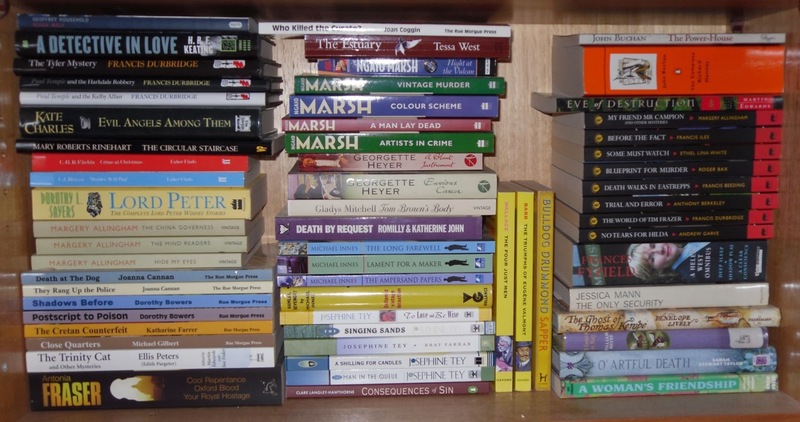 Some are rereads - Marsh, Fraser, Heyer, Tey - but I really do want to read them again so I haven't shelved them on the main shelves. I also picked up that stack of Arcturus Crime Classics from Clouston & Hall a few months ago. 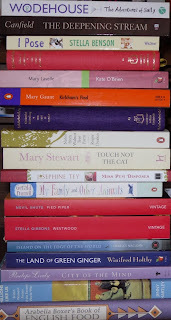 Finally, this is the stack of books on my desk which is meant to indicate that these books are next to be read... I won't tell you how long some of them have been sitting there. The 6th book from the top does deserve special mention, though. Mary Gaunt's Kirkham's Find was republished by Penguin as part of a wonderful series of reprints of Australian women's novels. They were published in the bicentenary year of white settlement in Australia. For those of you who don't know when that was, it was in 1988. The book hasn't been sitting on the desk that long but I did buy it that year so it probably rates as my oldest tbr book. I must read it! It has one of my favourite paintings on the cover, Clara Southern's An Old Bee Farm, & this is definitely the year I will read it. So, more reading from the tbr shelves (I haven't even mentioned library books or ebooks but they don't take up nearly as much room) & I have a resolution about blogging too. I'd gotten into the habit of posting two reviews a week as well as a poem on Sunday & I'm starting to feel a little constrained by the schedule I've set myself. I think it's stopping me from picking up longer books unless I'm reading them in installments with a reading group because I want to post those two reviews a week. I also subscribe to some lovely magazines & journals which I want to actually read rather than just pile on the coffee table. 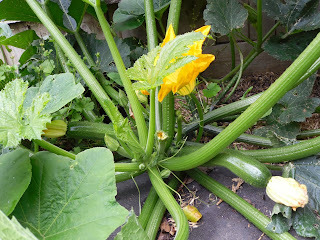 So, I will try to be less structured this year & post more serendipitously & not worry if there are no posts some weeks because I'm reading Trollope or a big biography. 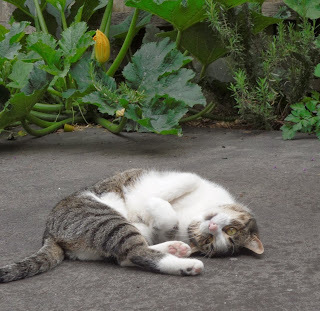 I may put up more cat pictures if the girls are in the mood to pose or photos of my veggie garden which is looking wonderful at the moment - green tomatoes on every plant & the promise of an awful lot of pumpkins (I only have one plant which is taking over the garden, how many do they produce??). So, that's it. 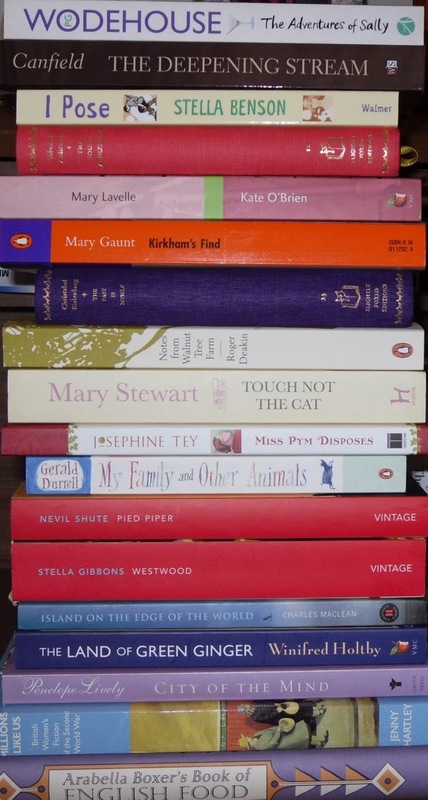 My reading resolutions for the year, such as they are. I'll look forward to hearing about everyone else's resolutions, if you make them, & reading some wonderful books in 2014.